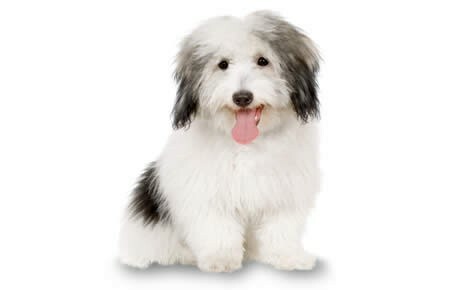 The Coton de Tulear got their unique name from a city located on the small island of Madagascar. This is where they were originally bred several hundred years ago. Belonging to the Bichon family, the Coton de Tulear was bred for one purpose only, which was to serve as a loyal and trustworthy companion for their owners. While they never had a past in hunting or herding, they did provide company for many travelers throughout their day. In their earlier years, the Cotons would roam throughout the island either as street rats or high-class pets for the nobility. During the 1970’s, Frenchmen voyaged to Madagascar and came across the Cotons. They liked them so much that they ended up bringing some back to France with them. This helped to establish their presence in Europe, which lead to their introduction to the United States within the next few years. For more information on the Coton de Tulear breed, continue reading our extensive guide below. A Coton de Tulear personality wants to please their masters at all costs. They are a loyal breed that loves to accompany family and friends in any situation. Expect a Coton to follow you around the house and join you on your daily errands. Whether you are cooking dinner or watching a movie on the couch, your Coton will always be looking to join the party. When they are not following you around or taking a quick snooze, the Coton de Tulear behavior can be quite energetic and playful. All they need is their favorite toy and some good company to keep them satisfied. They are also a very intelligent breed which means they are easily trainable. They can also adapt to new environments or unfamiliar situations. An active family is the best fit for a Coton. They thrive on human interaction, and it is essential for them to have a trusted owner who will provide them with all the love and support they need. If you want a low-maintenance dog that takes care of themselves, this breed is not for you. Coton’s can be an extremely loyal pet, however, you are going to have to dedicate some serious time in order for them to stay happy and healthy. As previously stated, Coton’s are a very smart breed. They strive to please their owners, which means they will do anything to see their companion happy. Once simple commands are learned, try expanding their knowledge with more challenging tricks and commands. It is very important to establish your authority as their owner. They need to fully understand that you are in charge and they must listen to you. Some independent Coton’s may have a problem with this, but continue to be firm and persistent when training a challenging puppy. Just like with any breed, make sure to train your pup as early on as possible. Socialization is critical in order to develop strong behavioral skills later on in life. Try introducing them to different people, places, sounds, and experiences that way they will become more comfortable in everyday situations. This will also help to prepare them with other dogs or pets within the household. Coton’s do not require a lot of physical activity. Due to their petite size, a Coton can be satisfied with a daily walk of about 30 minutes a day. Remember that this is a very playful breed that enjoys toys, tug-of-war, or any other exciting games that can entertain them. When playing outdoors, make sure they are in an enclosed area that will keep them from escaping or running away. This breed also enjoys agility coursing and obedience training. Not only do they get a physical exercise, but they also get a mental one as well. These activities are a great way for you to bond with your pet and spend some quality time with them. On average, the Coton de Tulear life expectancy is about 14 to 16 years old. As of right now, Coton’s are not a popular breed in the United States. This in part is due to the fact that they are from a small island off of the coast of Africa and didn’t expand to other places until the 1970’s. The American Kennel Club has yet to recognize Coton’s as their own breed in the U.S. Once this dog is able to get this recognition, they will be able to gain more popularity throughout the United States. Owners who are familiar with this breed admire their strong companionship and impressive intelligence. Coton’s are a small breed and only need about ¾ -1 cup of high-quality food a day, split into two separate meals. Each Coton will vary on the amount of food they need. Factors to consider is their age, size, activity level, and metabolism. If you are still confused on how much you should be feeding your pet, talk with your veterinarian for professional advice. Most importantly, make sure to supply your dog with high-quality food, made with all natural ingredients. Try to avoid products that list soy, corn, and preservatives as the main ingredients on the label. Always carefully read your dog food label to know exactly what ingredients you are feeding your dog. For the most part, Coton’s are a fairly easy dog to maintain. Their fluffy white coat gives them a signature appearance that many pet owners admire. In order to keep their coat clean and healthy, brush their coat several times a week with a pin brush. The more you brush them, the less you will have to bathe them. Bathing may vary depending on your dog. If you frequently find them rolling in the dirt, it might be a good idea to bathe them every couple of weeks. This breed needs to be bathed more than others in order to keep their white coat nice and clean. Always use a veterinarian-approved shampoo that is sensitive on their skin. Check their ears once a week for infection or wax build up. You can clean out their ears by using a cotton ball and a cleanser recommended by your veterinarian. The last step for grooming a Coton is to trim their nails regularly. If you can hear their nails tapping against the hardwood floor, that means it’s time for a trim! Are Coton de Tulears Good With Kids? The Coton de Tulear personality traits work excellent with any size family. They love the attention they get from children and can be a great playmate for them. Your pet and child will keep each other entertained for hours with a game of fetch or tug-of-war. A key factor to ensure this friendship is to socialize your pet at a young age. This will help them feel more comfortable around children and unfamiliar people. Also, make sure to teach your child how to properly care for a dog. They should never interrupt a dog while eating or bother them when they are sleeping. No matter how well behaved your Coton may be, always make sure a parent is there to supervise any interaction between a dog and a child. Coton’s are a generally healthy breed, however, they are still prone to several health issues. Below is a list of common Coton de Tulear health problems. Luxating Patellas: Luxating Patellas occurs when the kneecap becomes dislocated. This is a common injury in smaller breeds, especially the Coton. Luxating Patellas can cause difficulty in walking as well as inflammation. Hip Dysplasia: This occurs when the thigh bone doesn’t fit in the hip joint correctly. Hip dysplasia can cause discomfort and lameness within the back legs. In serious cases, hip dysplasia will lead to arthritis. This health issue is hereditary but can be worsened by environmental factors. Progressive Retinal Atrophy: PRA begins with worsening vision at night, but can lead to full blindness later on. This is an inherited disease and dogs with PRA should not be bred. Dogs can easily adapt to a loss of vision by fully utilizing their other senses. Hypothyroidism: Like in many breeds, hypothyroidism is a common health issue to be aware of. This occurs when the body cannot produce enough thyroid hormones. Common side effects include a change in their weight or skin issues. Luckily for the owners, hypothyroidism can easily be cured by taking a synthetic hormone pill. Epilepsy: Epilepsy is the number one cause of seizures in dogs. These seizures can be brought on by trauma, toxins in the body, or tumors. There is no cure for this neurological disorder but there are treatment plans that can lessen the symptoms. She has her energy back, and seems to be in so much less pain!